for half the cost and in half the time! 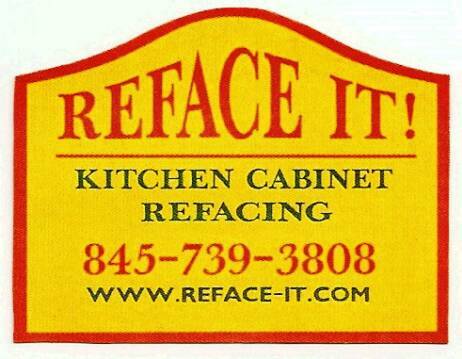 Reface It!, featuring: Kitchen cabinet refacing in Westchester and Putnam, Dutchess, Rockland counties, kitchen remodeling, tile installation, countertops, custom kitchen cabinets, custom kitchen cabinet doors and drawer fronts. Refacing the cabinets is the first and most dramatic step towards transforming your kitchen into a look that is just what you want. It truly is amazing and surprising to most people how good it looks when the job is done. Most of the time, however, not only do the kitchen cabinets need a new look, but so does the countertops and backsplash (the backsplash is the area between the countertop and upper cabinets). Maybe, the floor needs an updating with new ceramic tiles as well. Whatever work is needed to make your kitchen complete, we can get it done! 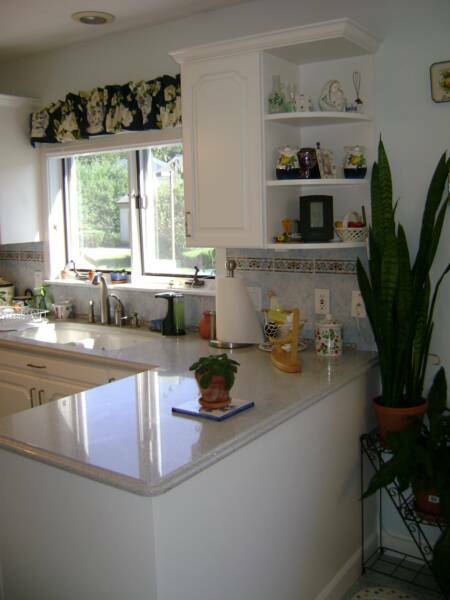 Give us a call at (845)739-3808 for a free estimate, and let us know what you would like done on your kitchen. 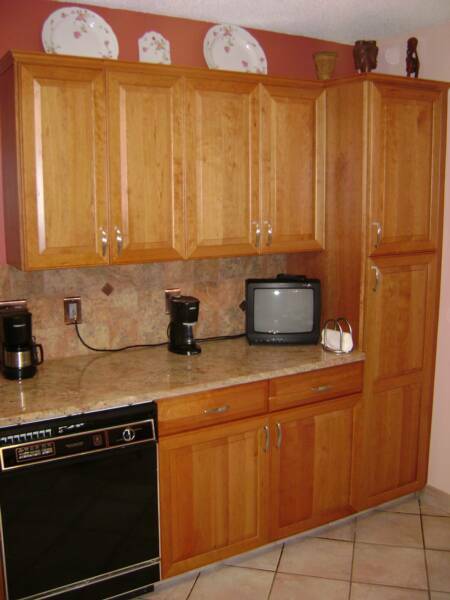 We can give you some recommendations, guidance, and the costs to customize your kitchen. "Joel is an outstanding craftsman who uses the best materials and takes great care in every step of the process. Just yesterday our builder said it was the best refacing he had ever seen. We're very proud of how beautiful and reasonable it turned out to be." Jack and Karyn Z., Goldens Bridge, N.Y.
Click on "Our Green Promise"
"They made me happy! Absolutely beautiful job"